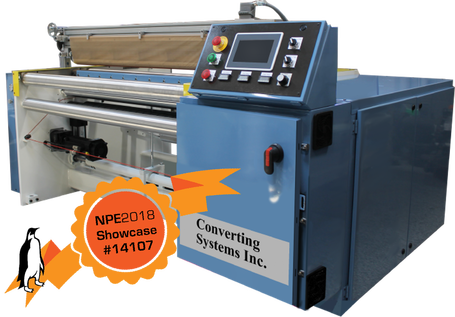 CSI Model 1801E – Economy Servo Shuttle Style Plastic Bag Machine - Converting Systems Inc.
CSI's Model 1801E is a re-engineered, more cost effective version of our popular standard line Model 1801 Bag Machine. Upgrades include complete enclosure reconfiguration, the latest generation of Servo technology, gear boxes and much more. 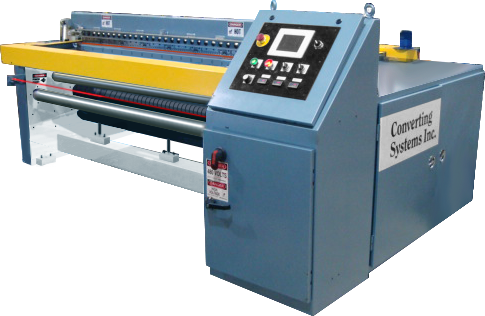 The Head, Shuttle, and Front Chrome rolls are all controlled with Servo systems. Operators control all the machine functions and set-up through a color touchscreen, eliminating the need for operators or set-up personnel to go inside any enclosure. Whether rebuilt or new, the 1801E carries a 1 year warranty on CSI parts and manufacturer's warranty on all purchased parts. Material thickness limits: .0003" to .024"